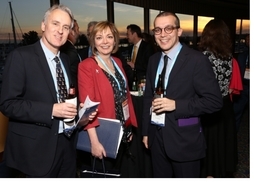 Kicking off the year in style, ISTAT members recently congregated for ISTAT Americas. 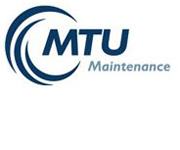 Held at the San Diego Marriott Marquis + Marina in sunny San Diego, California on 4-6 March, the 35th installment of this long-running event welcomed a record-setting 2,000-plus attendees for several days of networking, education and relationship building. The earliest arriving attendees were greeted with a welcome happy hour gathering on the evening of 3 March. The event officially started the following day on 4 March with the ISTAT Foundation Golf Tournament and ISTAT Foundation Sailing Trip — in addition to the ISTAT Appraiser Continuing Education and Appraising 101 education classes, the NewGen Event , the President's Reception and the Welcome Reception where members gathered for food, drink, and fellowship. The next morning, 5 March, kicked off two days of keynote presentations and panel discussions. There were again regularly scheduled networking opportunities in the agenda, and there were numerous areas designated for onsite meetings. A perennial favorite event, the Monday-night networking reception took attendees to the San Diego Air & Space Museum, which was followed by the always popular Club ISTAT, held again this year at Moonshine Flats. After another day filled with keynotes, panel discussions and networking, ISTAT Americas closed out with the President's Gala Dinner Reception and President's Gala Dinner and Award Presentation, the latter of which saw a "honored and humbled" Jeff Knittel, who recently assumed the role of chairman and CEO of Airbus Americas, receive ISTAT's highest honor. 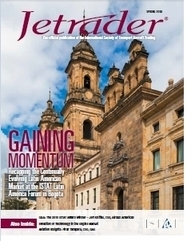 Be sure to look for much more ISTAT Americas coverage in the summer edition of Jetrader. Presentations and photos from ISTAT Americas are now available via the ISTAT mobile app (for all event attendees) and the ISTAT website. We hope to see you next year as ISTAT Americas returns to Orlando, Florida. 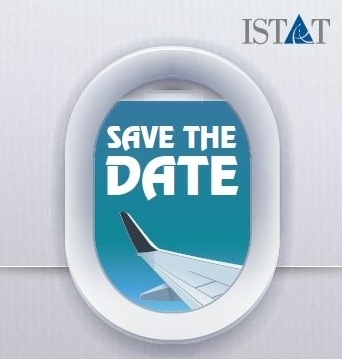 With the 2018 installment of ISTAT Americas in the rear-view mirror, members can now focus on Singapore and ISTAT Asia, which is set for Tuesday, 8 May – Thursday, 10 May at the Ritz-Carlton, Millenia. 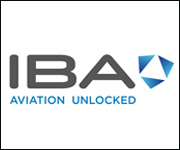 Attendees will explore Asia's growing influence in aircraft leasing, financing, trading and manufacturing, while making valuable connections with industry peers at this continually growing event. 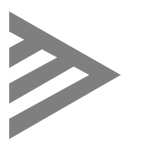 Registration is open, and the full schedule of keynote speakers, panel discussions, receptions, networking opportunities and more is available here. ISTAT has reserved rooms at a discounted rate at The Ritz-Carlton, Millenia; however, rooms are selling out quickly, so book soon to receive this special rate. Register by 1 May to receive up to $400 off your conference registration. 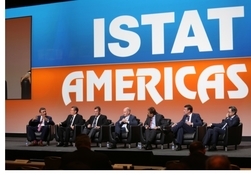 In continuing with ISTAT's 35th anniversary celebration, a special video chronicling three-plus decades of history was unveiled at ISTAT Americas as a testament to the organization's growth, as told by many of the people who have been there from the beginning. Click here to watch this very special look at ISTAT's history, and please join us in thanking everyone who helped make this video possible. In 2017, the ISTAT Foundation contributed $689,755 to support the future of aviation and humanitarianism. Learn more about the Foundation’s 2017 activities by viewing the Annual Report Video. The ISTAT Foundation is accepting applications for the 2018 ISTAT Foundation Scholarship Program. The Foundation is actively engaged in helping university students develop potential careers in aviation by offering scholarship support. To learn more about the scholarship program and student eligibility requirements, please visit our website. The Inaugural ISTAT Foundation Gala will take place on Monday, 4 June 2018 at The Ritz-Carlton in Chicago, IL. Table sponsorships will be available for $7,500, and individual tickets will be available for $250. The ISTAT Foundation will also host the second annual Chicagoland Golf Tournament on Tuesday, 5 June at the Harborside International Golf Center in Chicago, IL. Registration will open the last week of March . Interested in sponsorship? Contact us to learn more. During ISTAT Americas' Appraising 101 session, the program for those interested in the practice of appraising or who would just like to know more about appraisals in general, there was continued, strong interest with 87 attendees on hand for the session. Thanks to Olga Razzhivina and Stuart Rubin, both Senior Appraisers, for acting as instructors. This session will also be available at ISTAT Asia in May. Interest in the ISTAT Appraisers' Program at ISTAT Americas remained strong as there were three first-timers sitting for the set of four exams required to become an Appraiser, with three retaking at least one exam required to become an Appraiser and two Appraisers sitting for the exam required to become a Senior Appraiser. We look forward to announcing the results of these exams in late spring. To facilitate the goal of enhancing the ISTAT Appraisers’ Program, the ISTAT board recently voted to expand the IBG to include a vice chair and a secretary. Olga Razzhivina and Stuart Rubin were confirmed by the ISTAT Board as vice chair and secretary, respectively. ISTAT Senior Appraiser Rikard de Jounge was selected by his peers for another two-year term as an Appraiser member of the IBG. The IBG attracted a record 11 qualified candidates for two seats. After thorough consideration by the ISTAT board, Jeff Lewis of Fortress Investment Group was re-elected, and David Berkowitz of Radar Asset Management was elected, both for two-year terms. 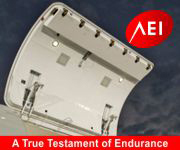 The spring issue of Jetrader is available and is arriving in mailboxes now. Filled with timely and educational content, this issue's cover story offers a recap of the ISTAT Latin America Forum, in addition to an interview with 2018 ISTAT Award winner C. Jeffrey Knittel. Also featured within this issue's pages is the newest installment in the ISTAT Aviation Insights series with a conversation between ISTAT and DAE Chief Executive Officer Firoz Tarapore, the conclusion of the Appreciation of the ISTAT Appraisal Program series, a look back at the ISTAT Holiday Receptions, aircraft appraisals, and much more. 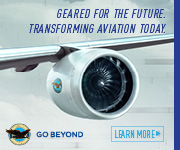 During the World Cargo Symposium, representatives on hand from the International Air Transport Association (IATA) focused on four key priorities — supply chain digitization, lithium battery regulations, efficient trade facilitation and next-gen air cargo leaders — that will affect the future of the air cargo industry. "Air cargo had an exceptional year in 2017 with 9% growth. 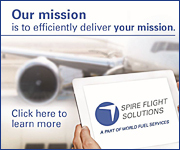 And we expect a very healthy 4.5% expansion of demand in 2018," said IATA Global Head of Cargo Glyn Hughes. Brexit, the U.K.'s scheduled exit from the European Union on March 2019, remains a ferociously debated topic among aviation executives, as demonstrated by comments made by chief executives at a recent aviation summit in Brussels. According to the International Air Transport Association (IATA), January 2018's air traffic, as measured in revenue passenger kilometers (RPKs), rose 4.6 percent compared against the same month in the previous year. This represents the slowest year-over-year increase in approximately four years.